In earlier time, people used to send personal messages and official messages by letter. That was taking too much time to reach beyond the destination point. Now that time is gone. Email is the first delivery message system, that can reach your information easily and fast in a written format. Sometimes you need to send personal information or data through email with your family, friends or anyone else. That private message may contain your Credit card information, account details or your password. After reading that email, the recipient might forget to delete that email. It may cause a problem for you. There are many hackers, who always try to access your personal messages. In that case, they can easily get your private information and try to misuse it. After delivering emails, if you don’t want anyone else to read your private message, it is suggested to use self destructing message service. These details when read once, will instantly get removed. So, the receiver will get the required details, and no one would be able to know the private message that you sent using self destructing email service. There are many online services, that provide self destructing message service. Let’s know some of the best of them. BurnNote is an online tool, that can create secret self destructing mails for you. It allows a user to create and send a message secretly and will be automatically deleted after the predefined number of seconds after it has been read. 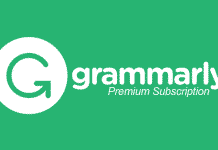 This service ensures that your email remains truly private and can’t be accessed by any other people. Let’s know how to use BurnNote. 1) Open your web browser of your computer or mobile and navigate to www.burnnote.com. 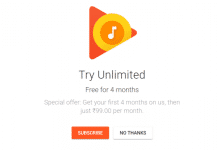 2) Now sign up here and create an account. After creation, login there. 3) Click on “New” button to create your secret message. 4) In the next field, put your personal message and set your self destruction time period on “Options” button. 5) You can also prevent others to copy your message. 6) After written your message, click “Next” button. 7) In this section, you can directly send that message to your desired contact or get a like for further use. When the recipient opens that link, then will be taken to a temporary private page, where your message has been stored. The best thing is that, the user can only be able to read the message once. As like Burn Note, Privnote is a faster secret message service. There is no need to create an account here. You can directly generate self destructing email with ease. Go to www.privnote.com and put your message in the test box. If you want, then you can allow it to notify you, when the note gets read. After that click on “Create Note” button you get your private message link. To destroy that message immediately, you can click on “destroy it now” link. OneShar allows the user to create encrypted private messages on the go. It allows up to 1000 characters of message and also has a self destruction time limit. You can set the destruction time limit from the pre-given list. Onesher does the same method to create and send a secret message like Privnote. NoteDip is another identical kind of support that allows customers to deliver one-time information. Notedip provides password protection. So you can add a protection password to your message for extra part of protection. 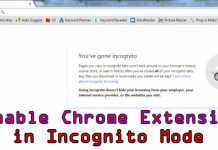 Just make the observe and make a web link for your private message. Email this web link to the individual you want to deliver a message. This service can also deliver your message when other individual flows the message. For this, you need to allow the notification. Link will be deceased after the first use. So no one can read the message again. 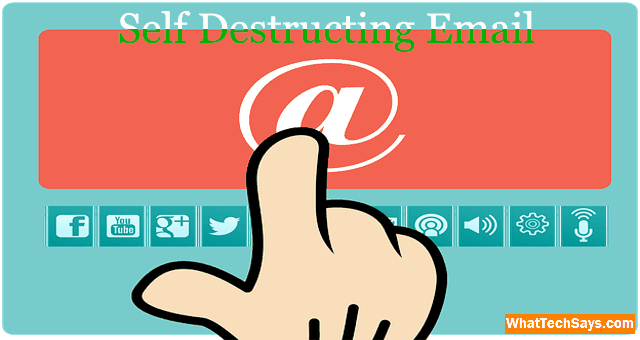 DestructingMessage is another great website to deliver self destructing e-mails. Compared with NoteDip, you can deliver time for self-destruct from 15 seconds to 5 minutes. You can type your secret message and produce a link that you can deliver your buddy through SMS, Facebook, email, etc. Produced links will be effective for 90 days before starting it and read the secret messages.